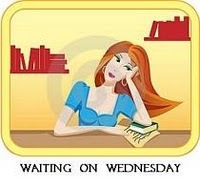 "Waiting On Wednesday" is an awesome meme created by Breaking The Spine that spotlights upcoming releases that we're eagerly anticipating! I was going to choose Iniquity but it has been two years and there still wasn't a blurb or a cover yet. So I decided to settle for her second book which I am about to read and that is the Kricket Series. This is my first time joining this meme and I hope I could meet a few friends along the way. This sounds really interesting and I love the cover, gorgeous. Added to my TBR. Hope you can check out my WWW. OOoh that's a new to me one! I agree, the cover is gorgeous! What fun! Thanks for sharing...and enjoy. And thanks for visiting my blog. This book is new to me but it sounds really interesting. I hope you'll like it. Welcome to the meme! It's a great way to discover new books! Welcome to WOW. It's lots of fun. Happy reading. This one sounds interesting and I love the cover. It's intriguing. This looks really interesting. I hope you enjoy it! Thanks for stopping by my blog! 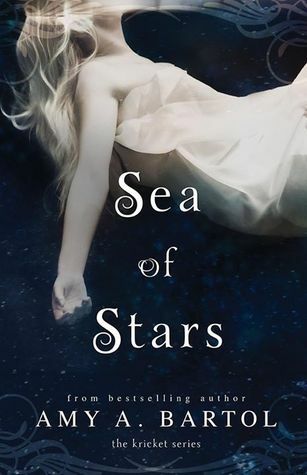 This looks really interesting, definitely adding it to my TBR, thanks for stopping by my blog. What a gorgeous cover! Thanks for sharing! Oh Now that is what I call a cover!! WOW. I can't wait to read this one!! Sounds really good. Fab Pick!! Haven't heard of it before but the cover looks absolutely amazing! I love it! And thank you for stopping by my blog! 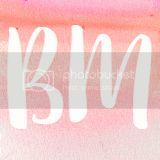 I just followed you via bloglovin - your blog looks really great! Hope you really enjoyed this one. I'n not a fan of sci fi but it does look good. Oooo I read her first series, but never started this one. Looks good. Thanks for visiting Ficwishes earlier. I haven't heard of this one yet! Sounds very interesting. I haven't heard of this one, but what a beautiful cover! Great choice! Thanks for visiting my WOW earlier. This sounds awesome & that cover is gorgeous. I haven't read any of her books, but it definitely sounds like it's worth giving it a try! Welcome to WOW!! I haven't seen this book before! Ooo I've never seen this before but that cover is beautiful! :) Hope you enjoy it! I absolutely love this cover. I just want to stare at it. Thanks for sharing! Oooh great pick -- totally new to me but sounds really interesting!! This sounds pretty good! Hope you get to it soon! This sounds so good! I think I should look into it! I need to read more Sci-Fi! I love this cover! I never read the first book, but I saw some really nice reviews for it. I hope you enjoy this book when you read it! Welcome to the meme! This sounds really good, I am going to add it to my TBR! Pretty cover! I love books about space! And star crossed feuds! Will definitely check out the first book in the series! Thanks for sharing and for stopping by! New follower. Not a bad pick for a first timer. ;) This sounds really interesting. Will check out today! Funny you should mention Inequity. Ive been keeping an a eye out for the cover and blurb too. I'm hoping Amy will finish it soon. Your second choice is a good one. Welcome to WoW and thanks for stopping by my blog. Oooh, this is a new one to me. Sounds awesome. Love the cover too. This sounds like a great series and I love the cover. I have not heard of this series before. But it sounds fun. I'll have to check out this series. I find so many books to add to my TBR when I do Waiting on Wednesday and travel around to different blogs! It's a fun meme. I haven't heard of this one before, but it sounds interesting. I hope you enjoy reading it! Oh, I want to read this book! And I want Iniquity, too! Thanks for stopping by! Happy reading! ★: I wish I had a time machine so I can go back in time and not read this book. ★★: Meh. I didn't like this book but maybe some of you will. ★★★:	It was okay. The book overall was good but it just didn't capture my attention the way I wanted it to. ★★★★: I really liked this book but I probably wouldn't remember it in a couple of weeks. Still a book I would recommend. ★★★★★: Read this book NOW. I loved it so much and it is a book I would really recommend. All rights to the respective photos and synopses belongs to the owners.